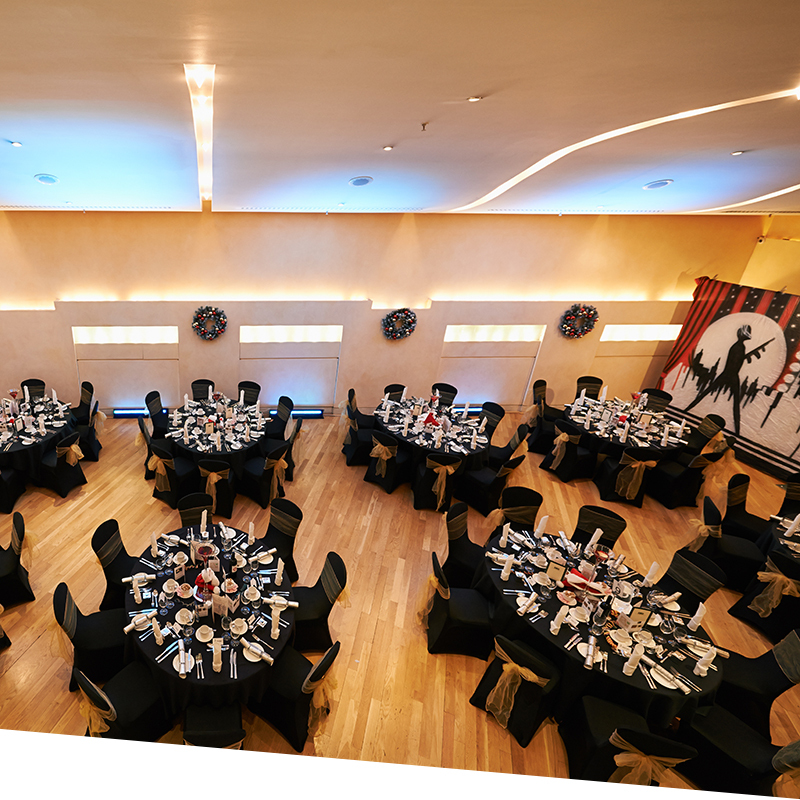 It's Christmas once again, so celebrate with a bang at the one and only 4* deluxe Kingsway Hall situated in the vibrant Covent Garden and Holborn area of London. 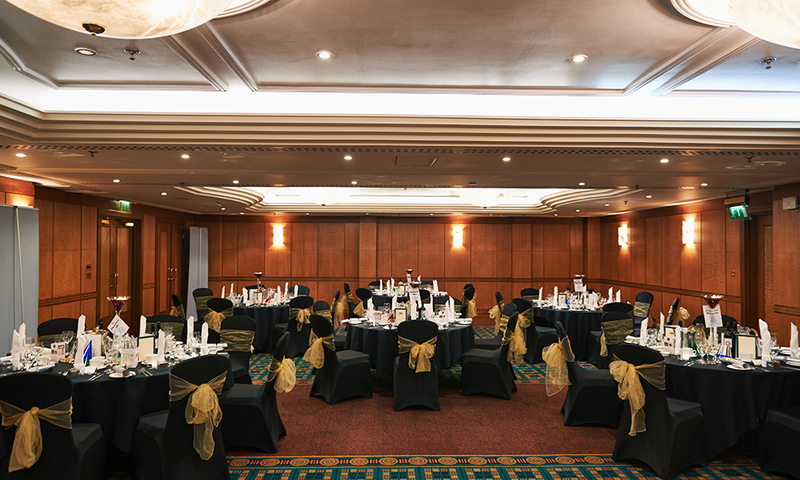 No party too small or too big, we can accommodate all party sizes from 10 and up to 150 people. Choose from a simple dinner package or an unlimited drinks option. We have also included a DJ to take the stress out of planning. 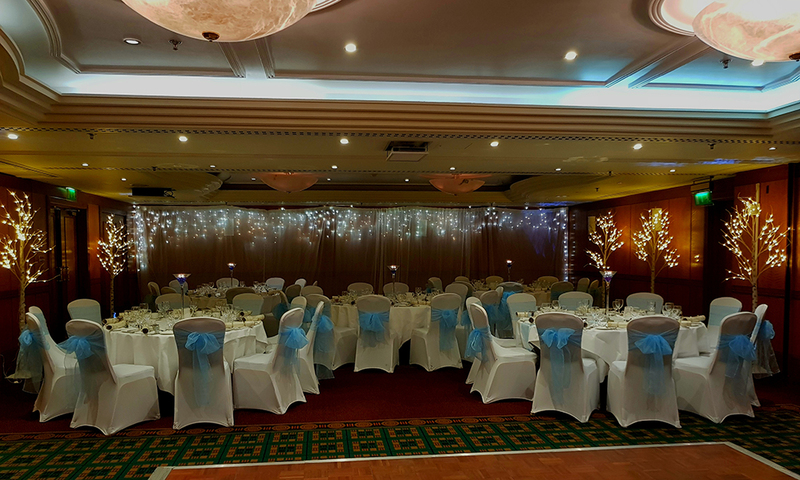 Or if you have a bit of cash to splash, opt for our Winter Wonderland themed all-inclusive package. 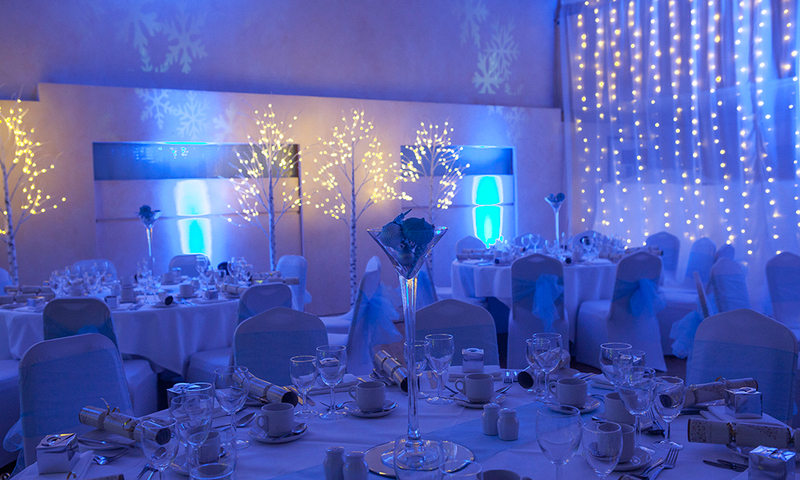 Shimmering white, cool blue and soft yellow lighting will transform your night into a magical frosty wonderland. Enjoy a welcome drink before being called to dinner. 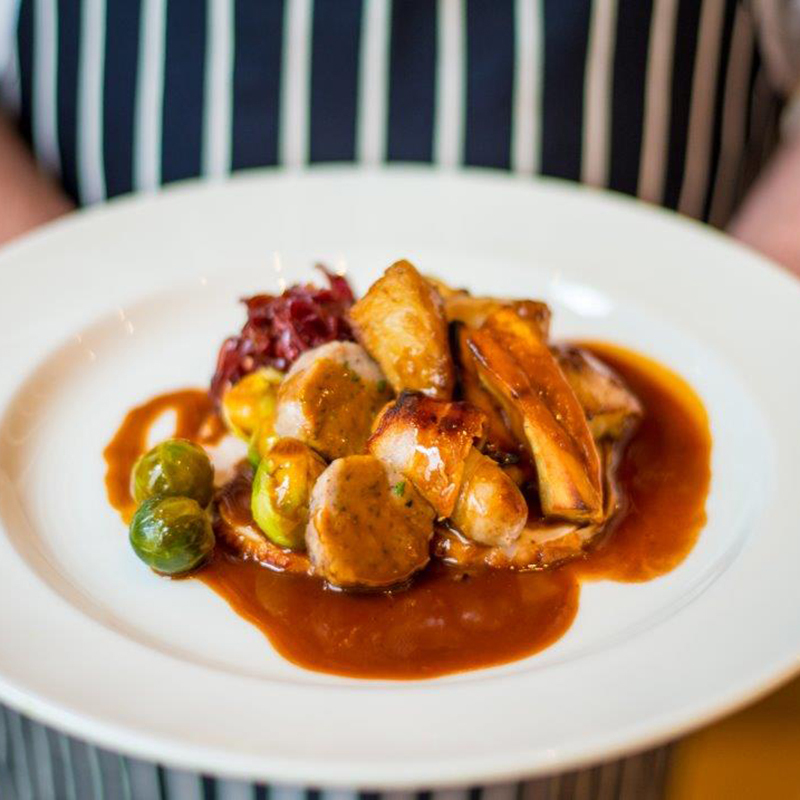 Indulge in a mouth-watering three course meal prepared from fresh ingredients by in-house chefs and wash it down with unlimited drinks for four hours. If that doesn’t get your taste buds tingling, then savour some hot and freshly baked mince pies with tea or coffee to suit. 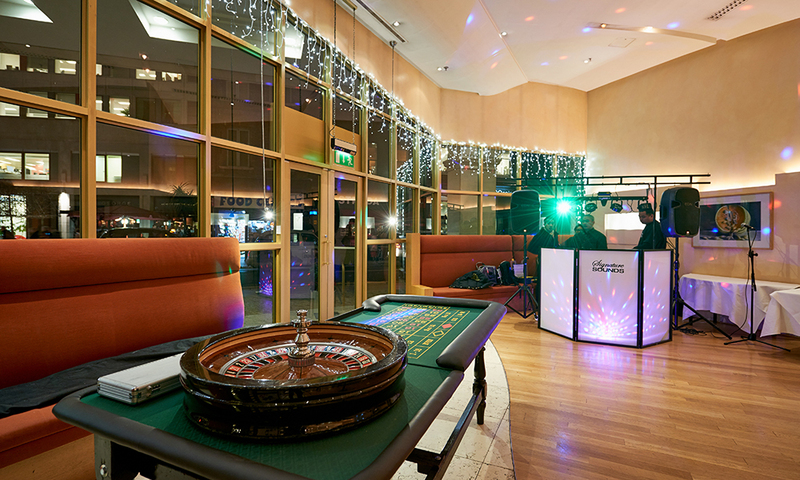 Get into the Christmas spirit with Christmas crackers, hats, jokes and a choice of casino table or photo booth to entertain your party. After the delicious meal, step on to the dance floor to party the night away with our resident DJ and make it a Christmas to remember! Looking for something different? Enjoy your Christmas party together with Basil, Sybil and Manuel! Contact us to find out more. All our bookings are held as joint first option, require deposit of £300 and signed contract to confirm the date. All food choices to be confirmed one week prior to the party. We allow two options per each course. 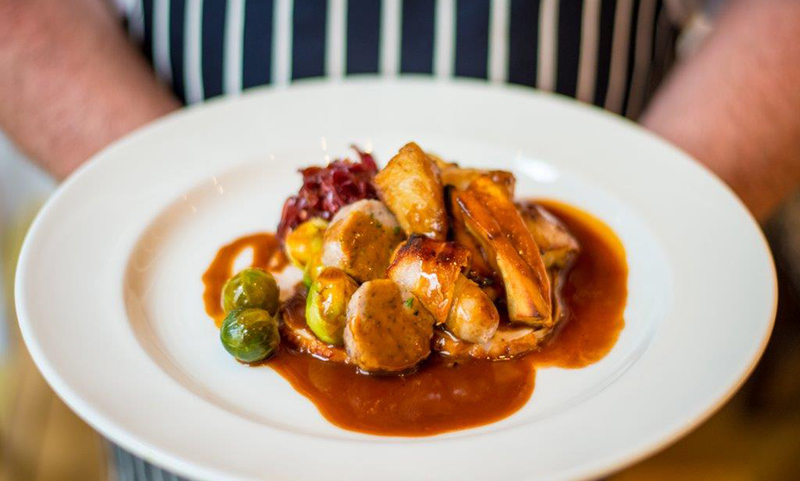 We will accommodate any dietary requirements but needs to be notified in advance. 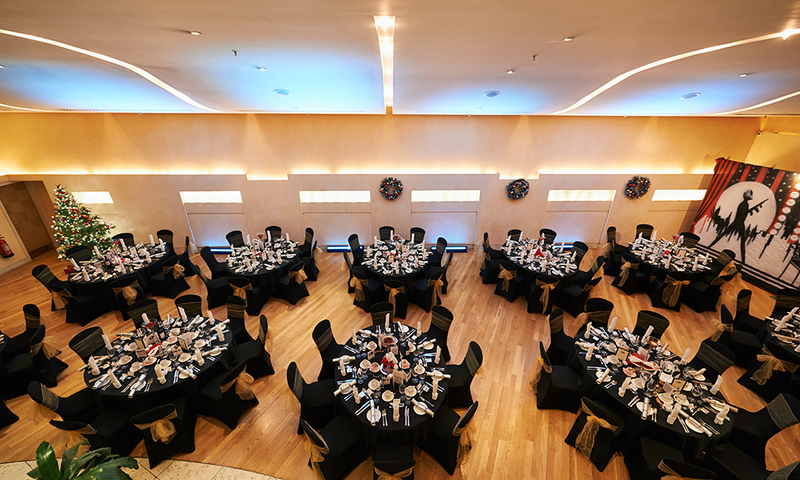 Just minutes from Holborn and Covent Garden and within easy traveling distance to all London attractions and sights, this is an ideal location to host your office Christmas parties. From Holborn Station (3 minutes walk)- exit on left hand side of station, exit onto Kingsway and walk approx 500 metres. At the traffic lights cross over onto Great Queen Street. We are 100 metres. From Covent Garden Station ( approx. 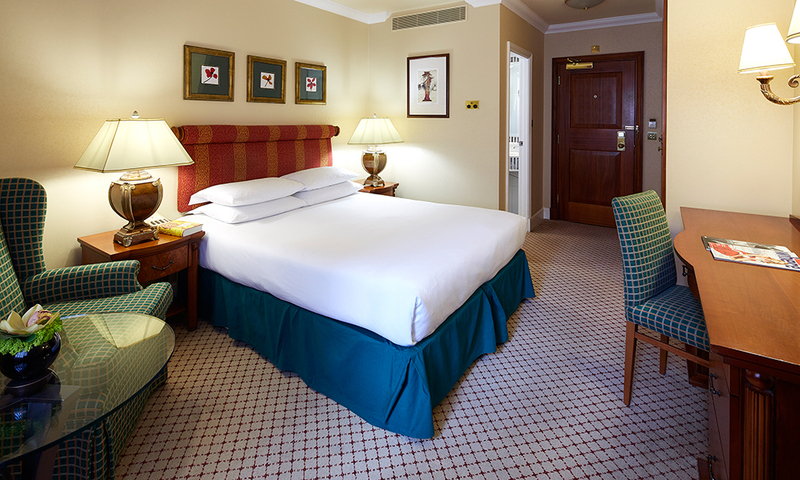 7 minutes walk) - exit the station and walk towards Great Queen Street.